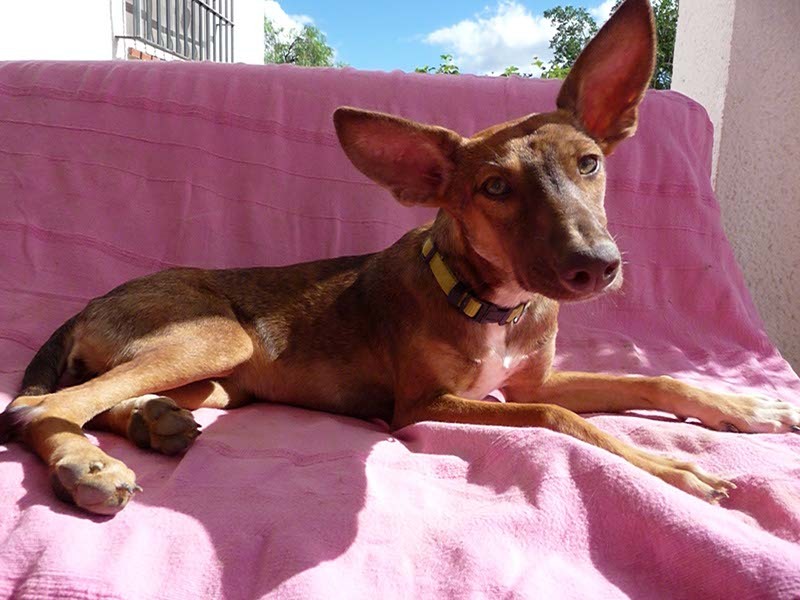 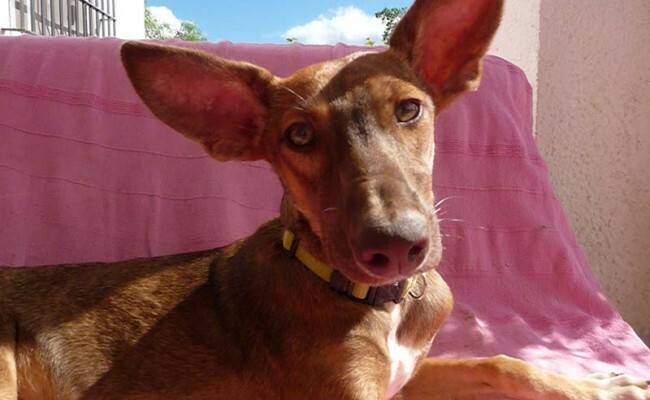 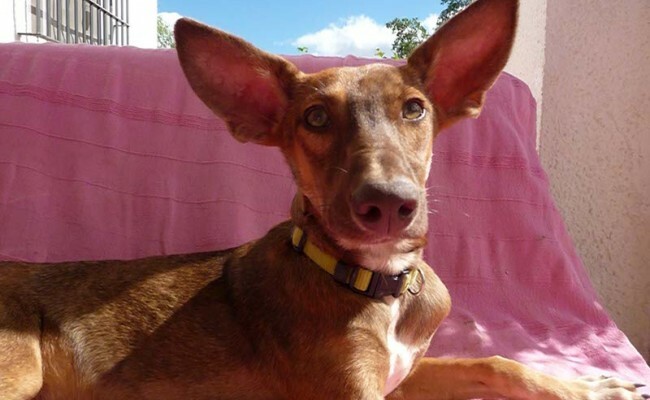 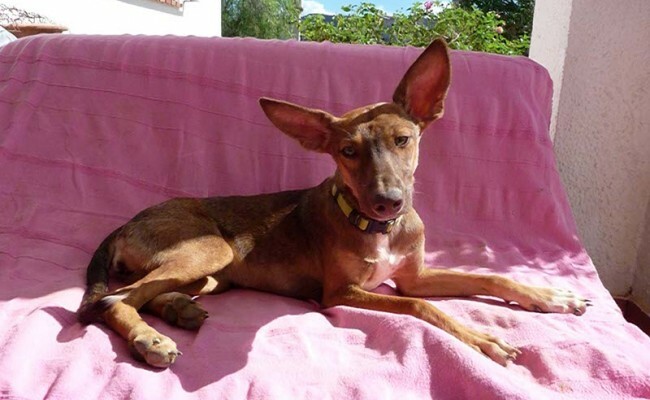 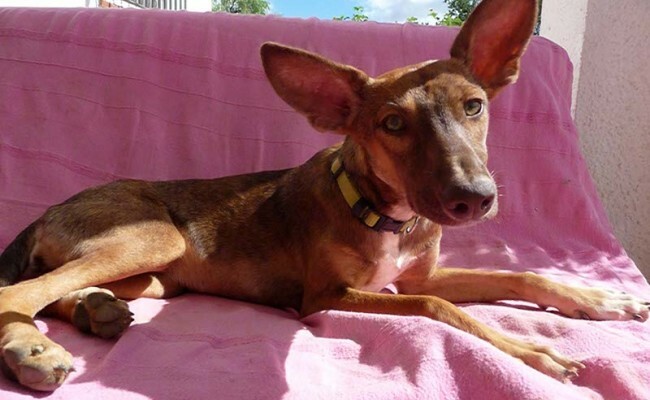 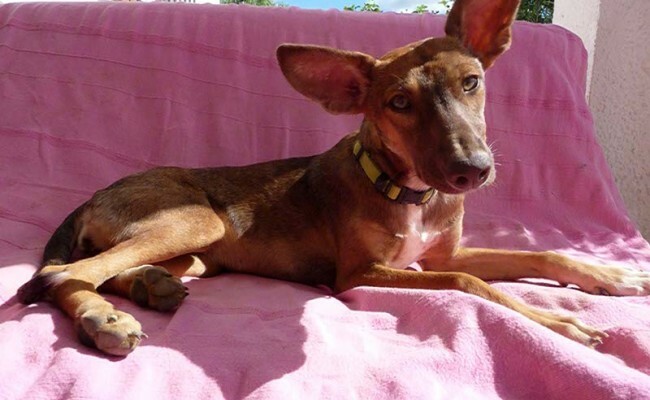 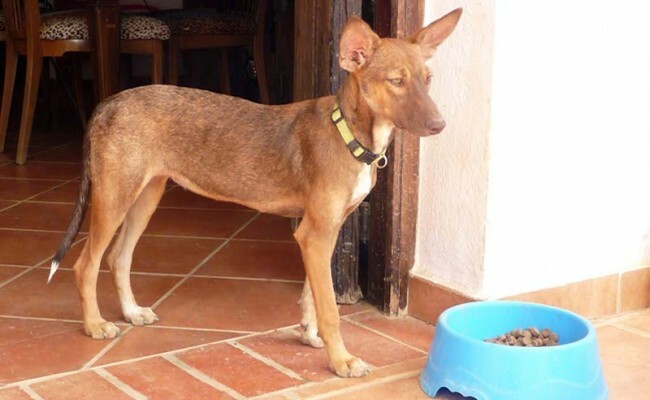 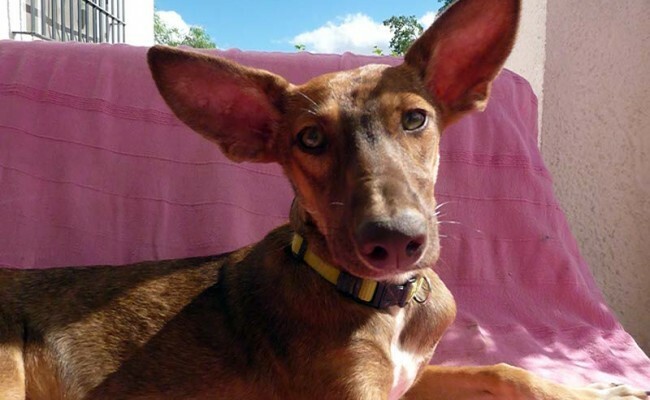 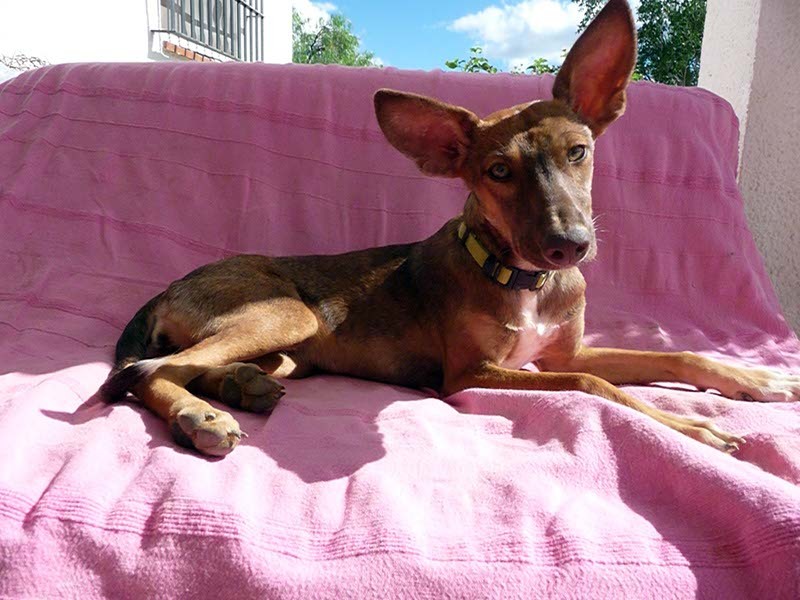 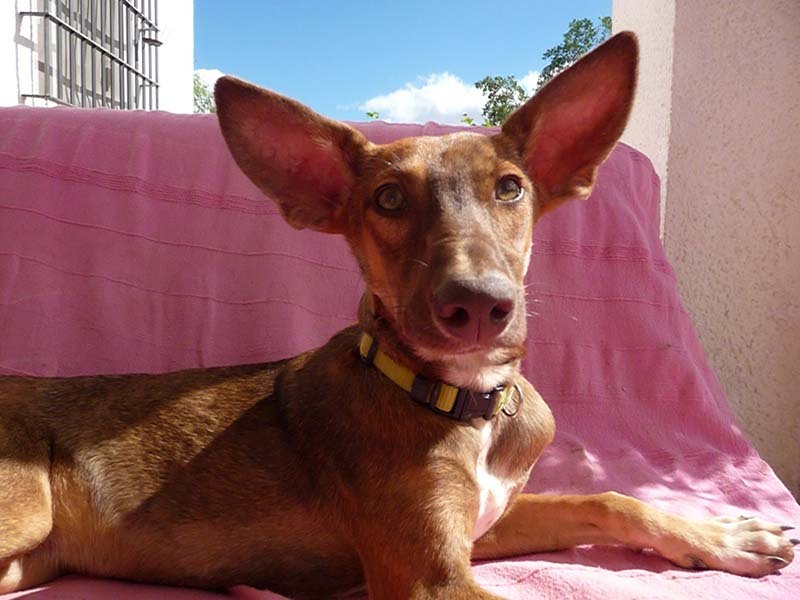 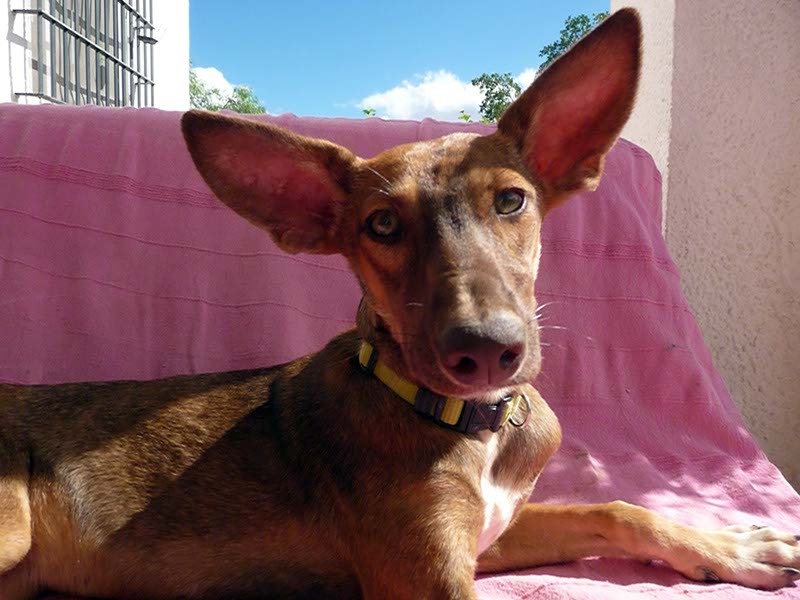 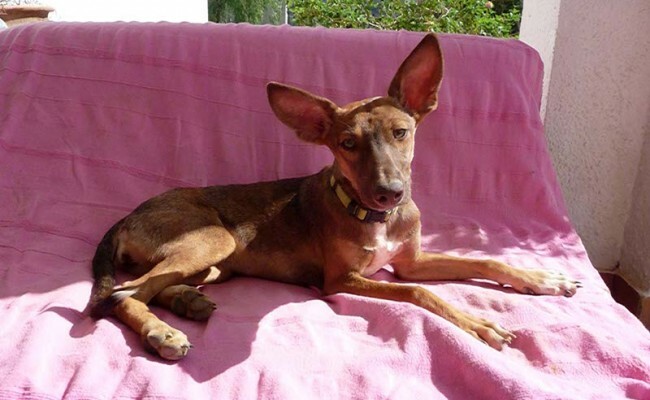 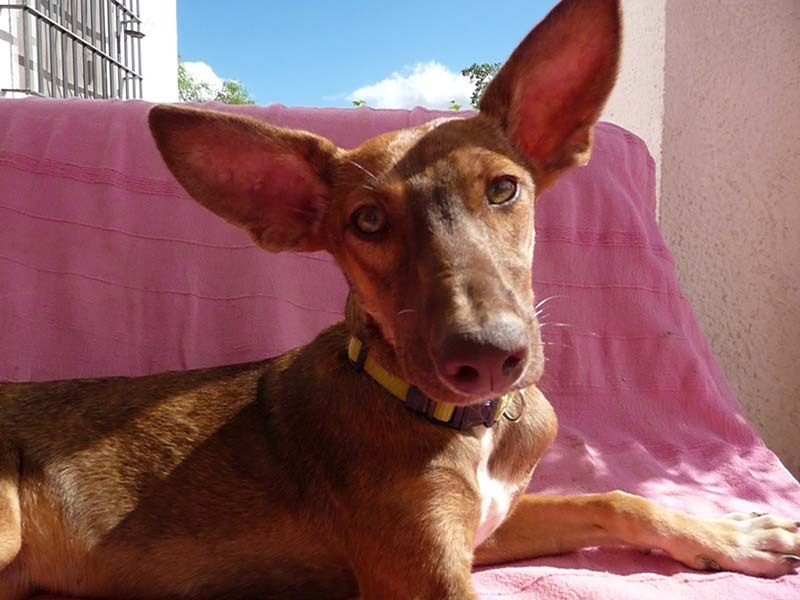 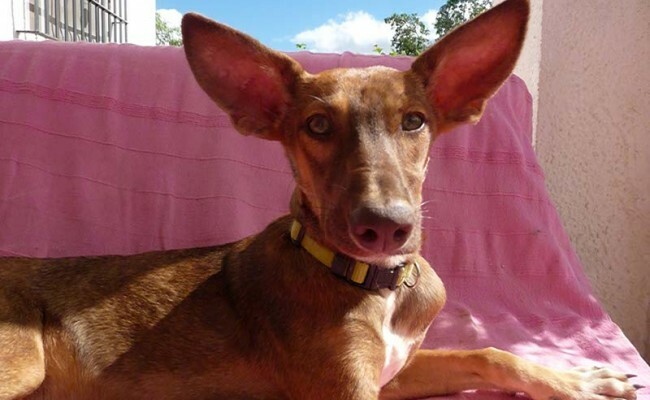 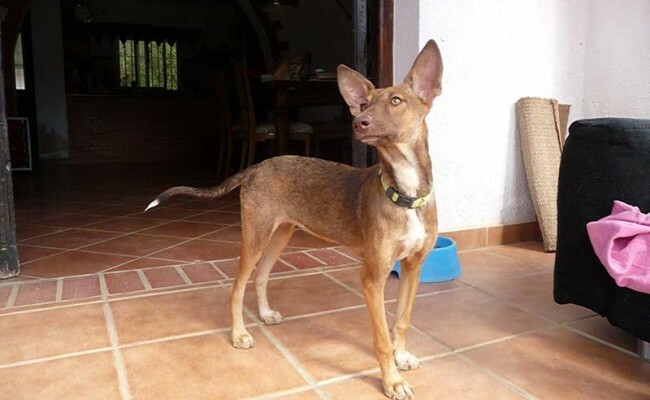 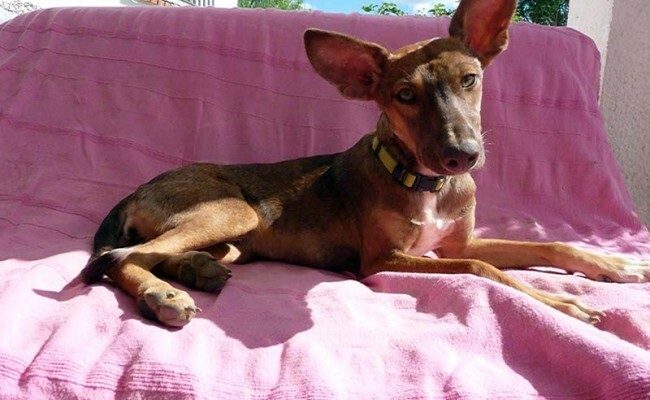 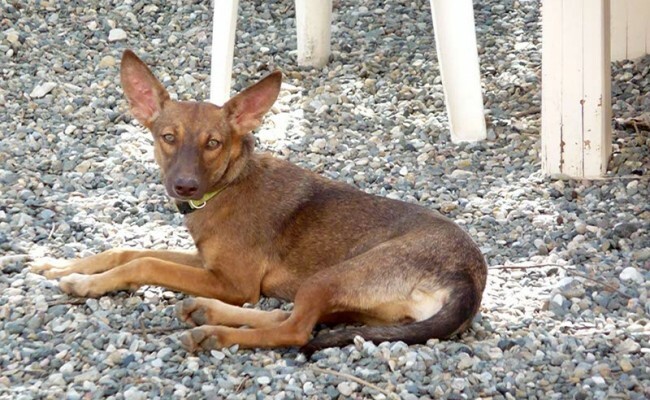 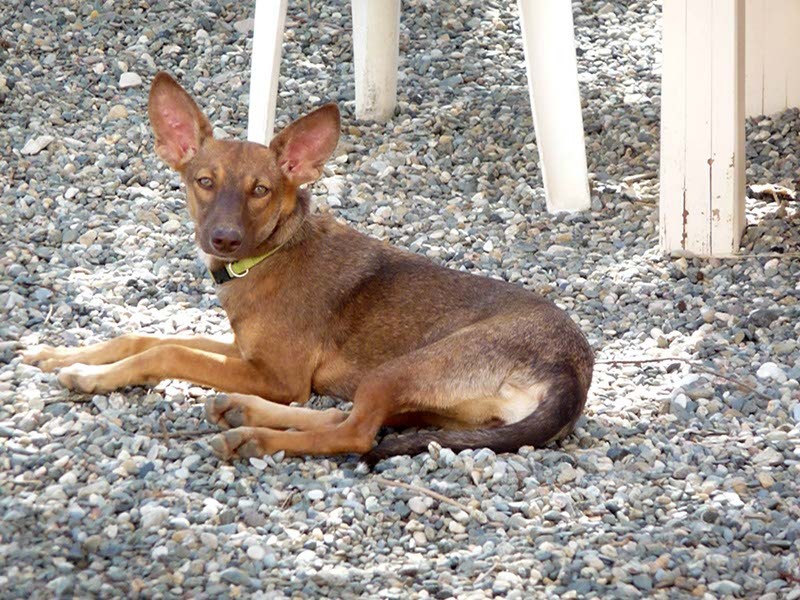 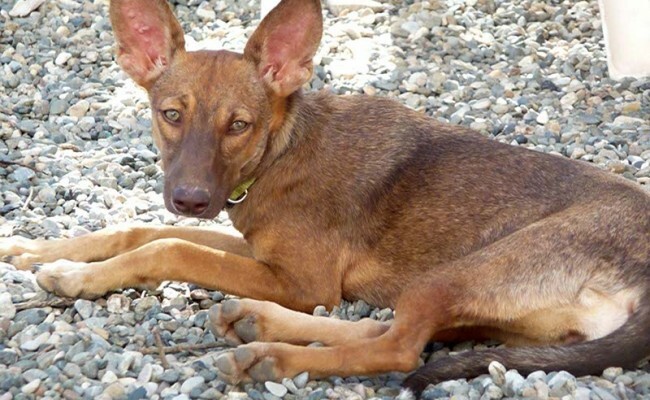 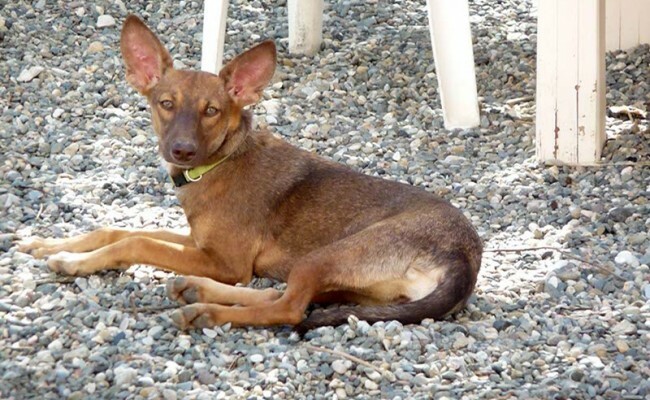 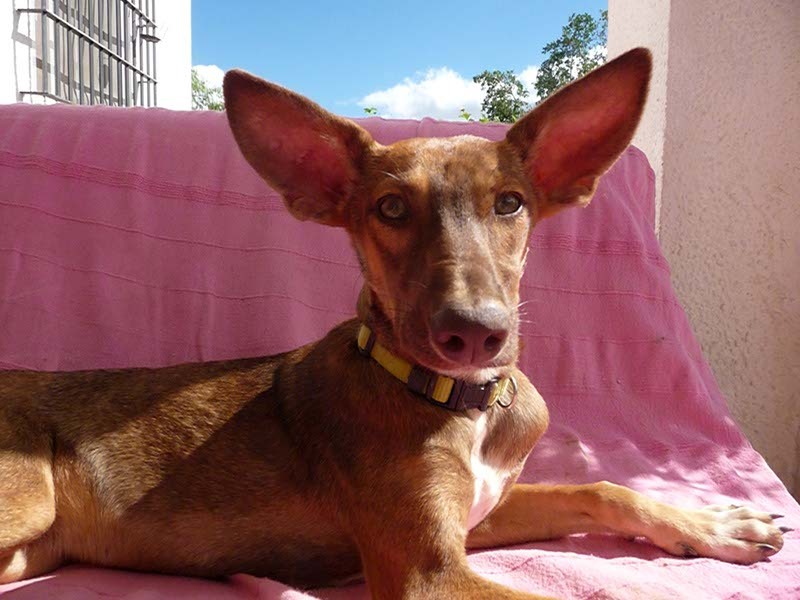 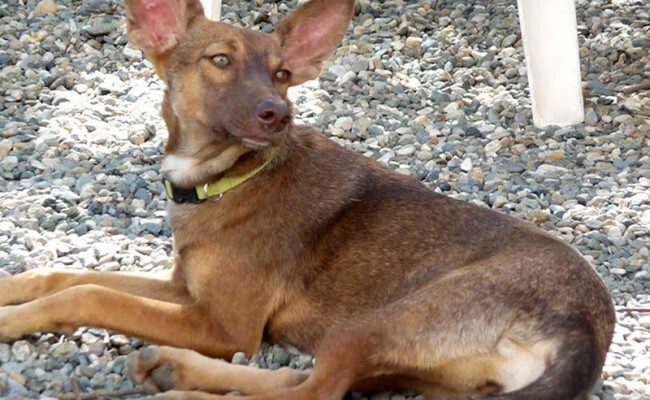 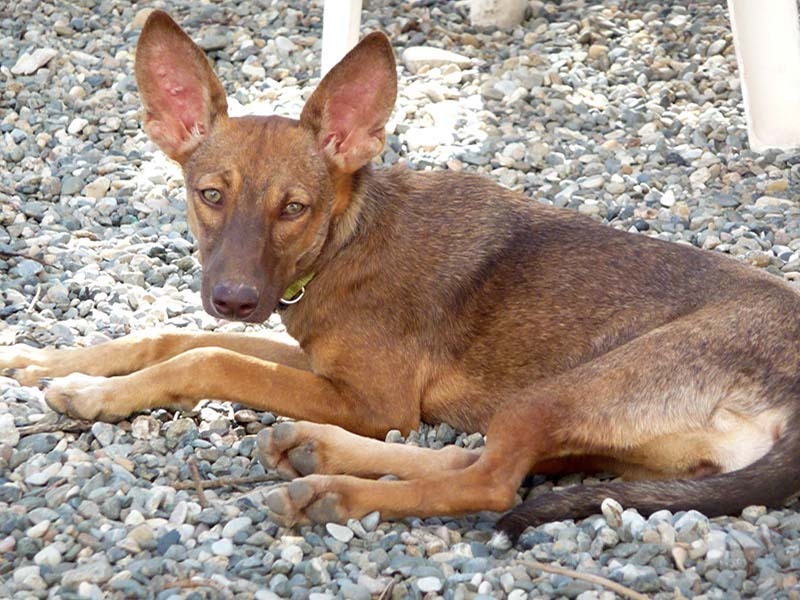 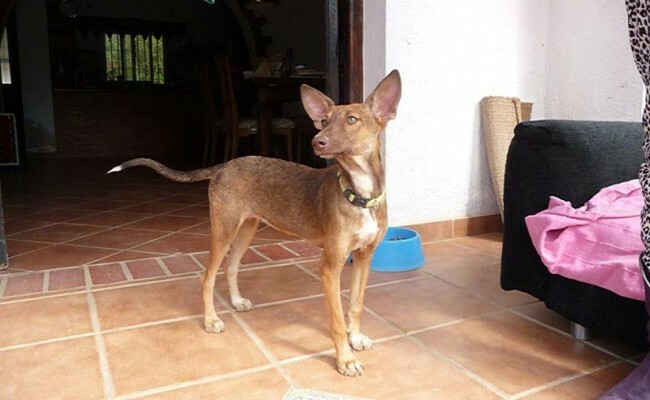 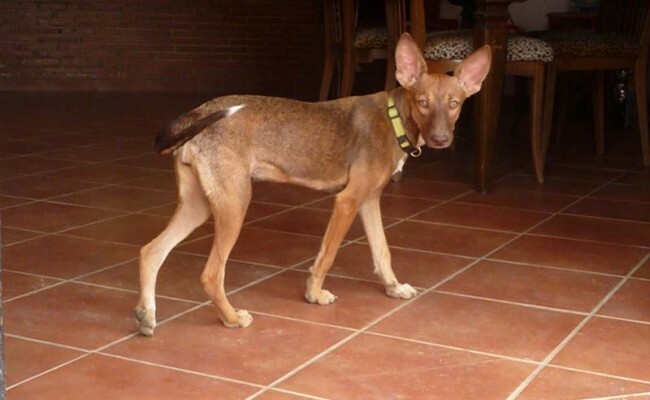 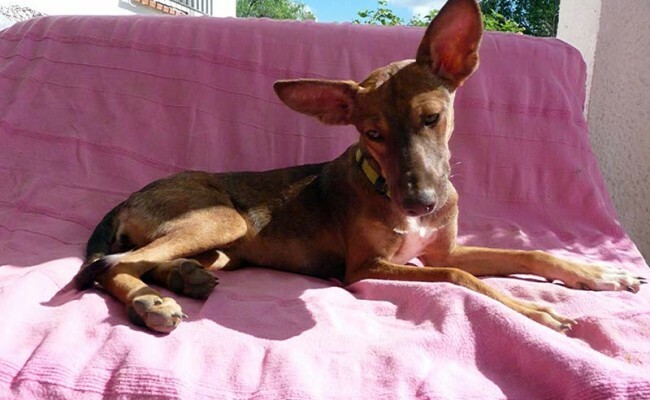 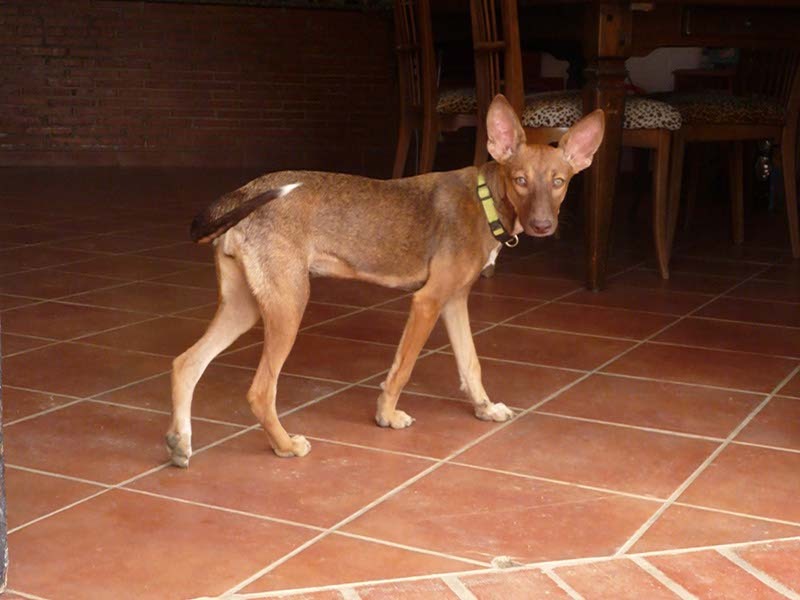 This gorgeous little podenco girl was found in a terrible state and she had been dumped at our fosterers home.She was very thin, and had really bad skin and a swollen tummy, she was infested with fleas & worms. 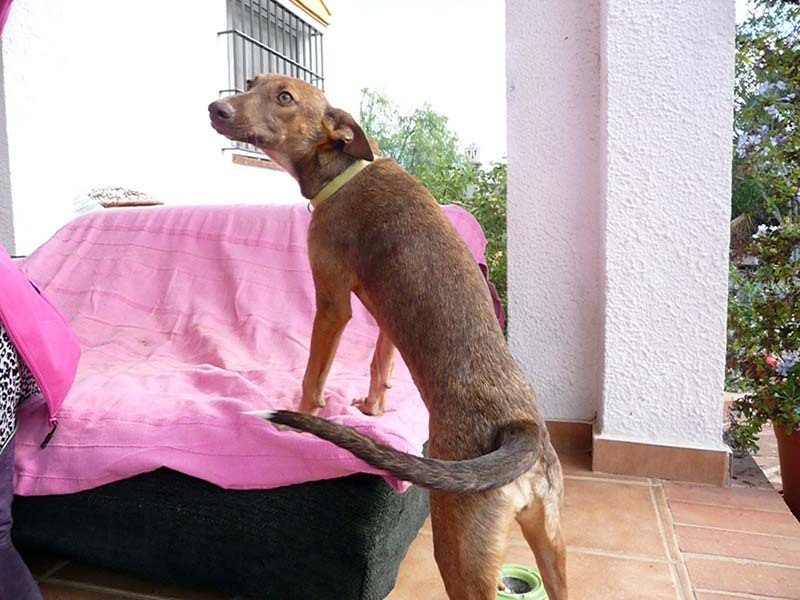 After 6 weeks she is now much better and as you can see has put on weight and is looking great. 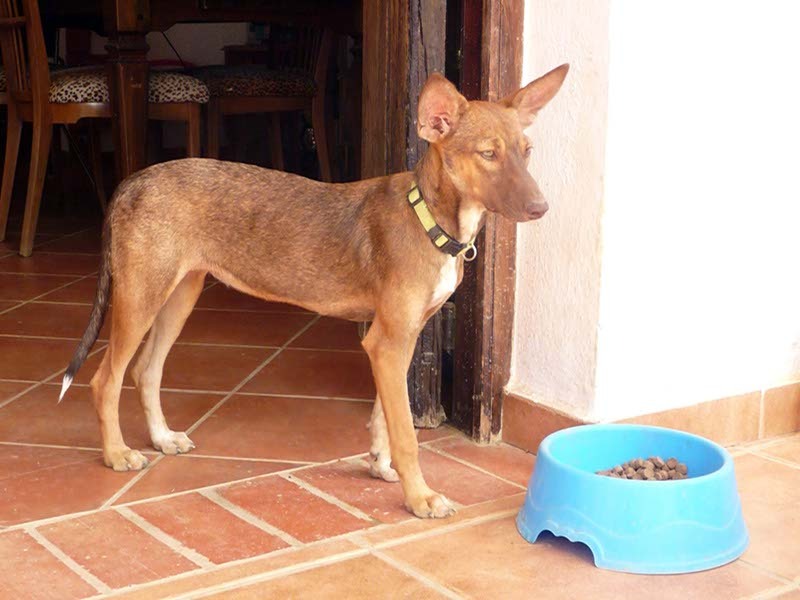 He coat is starting to get much better and she is getting a shiny health coat. 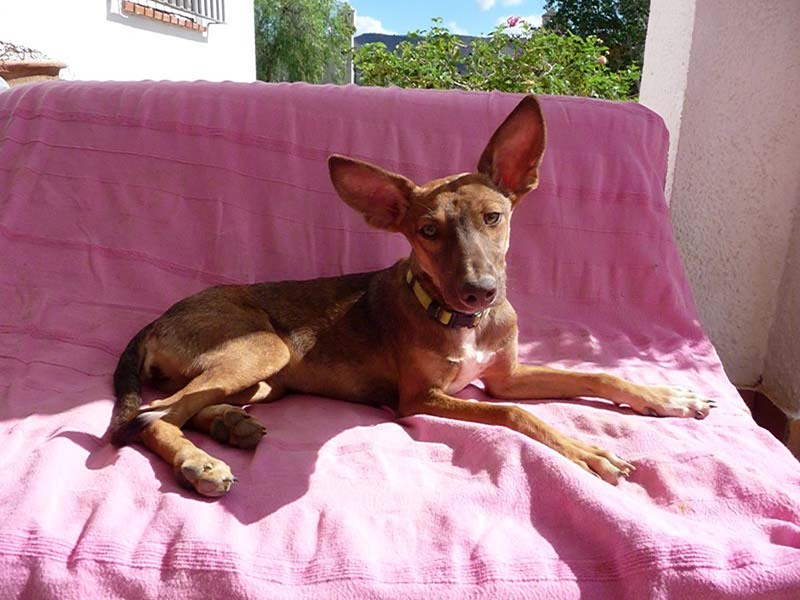 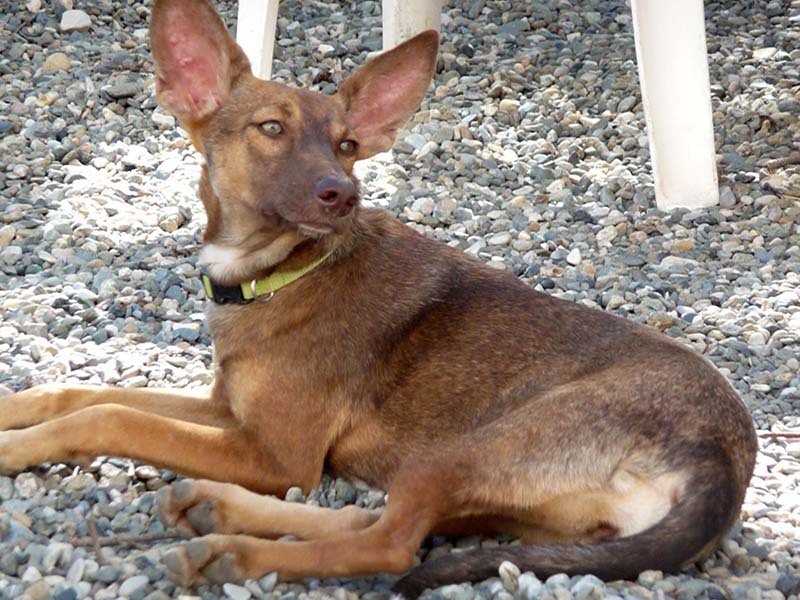 Bambi has the most adorable nature and she is very friendly and affectionate. 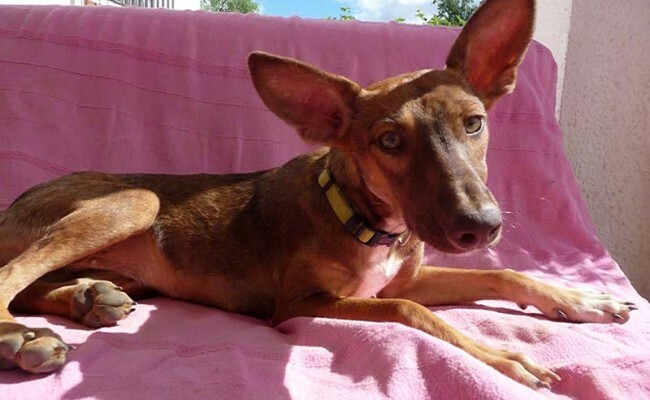 She adjusted to her foster home very quickly and after a few days was starting to play!! 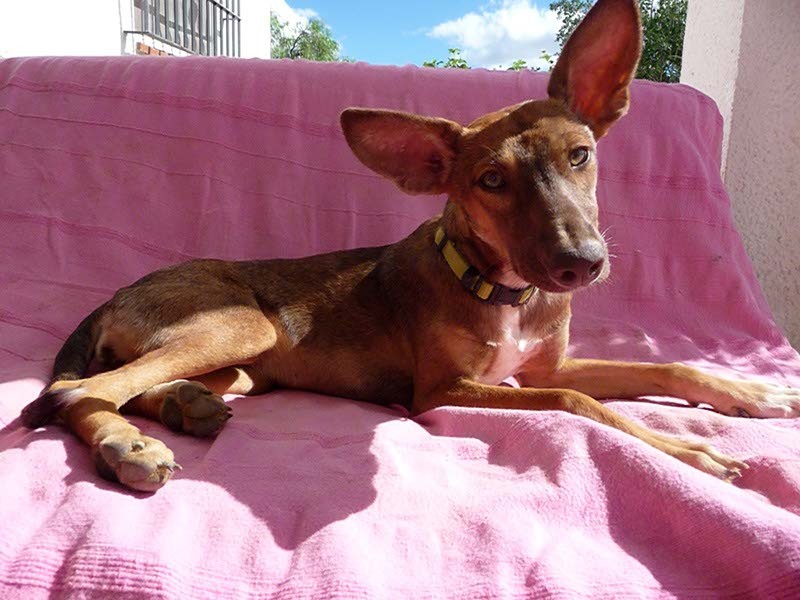 She is a really sweet, easy going, social girl, she loves other dogs and really loves to play. 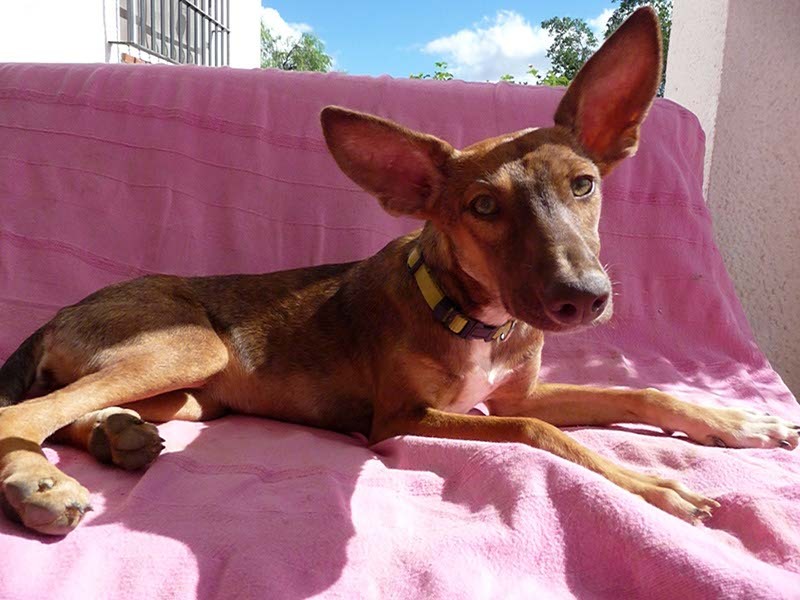 She has met cats and she is interested in them, but just wants to play with them too, so would probably be best with confident cats. She is a stunning girl with the most beautiful green eyes, she is just so lovely and wants to make friends with everyone she meets. 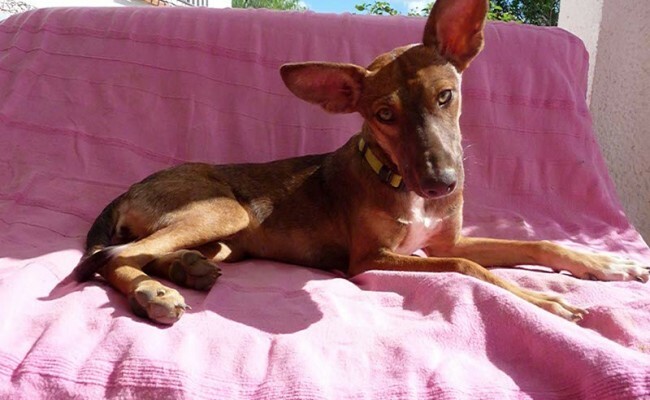 You cannot help not to fall for her! 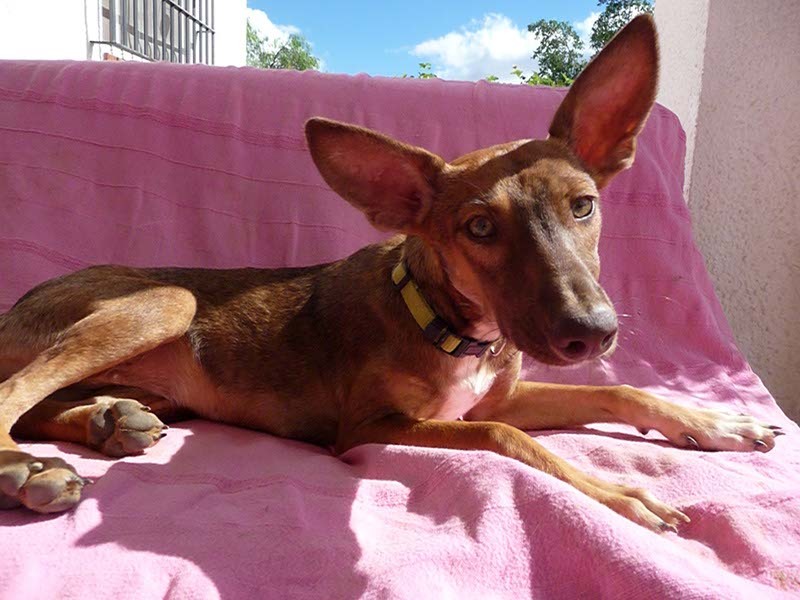 We would like to find Bambi a home with another dog for her to play with. 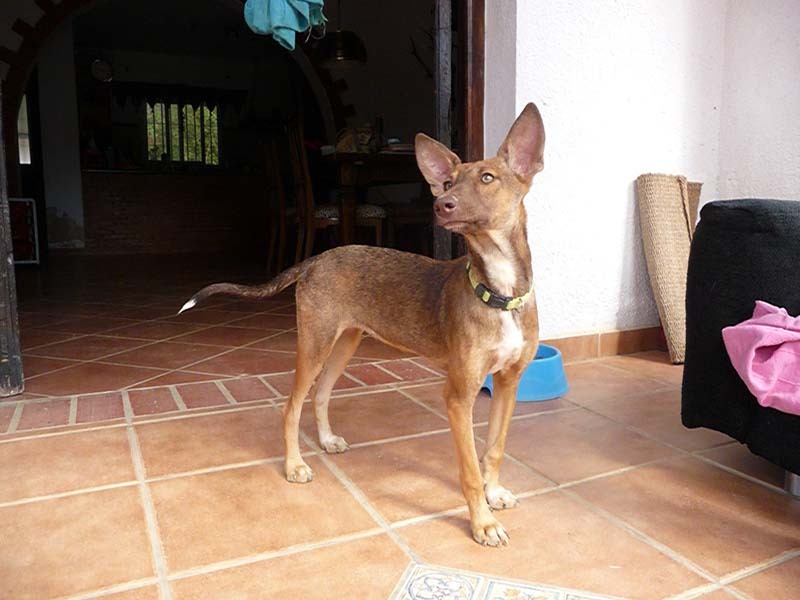 She is about a year old and is only small and weighs about 7kg and is around 35cm height. 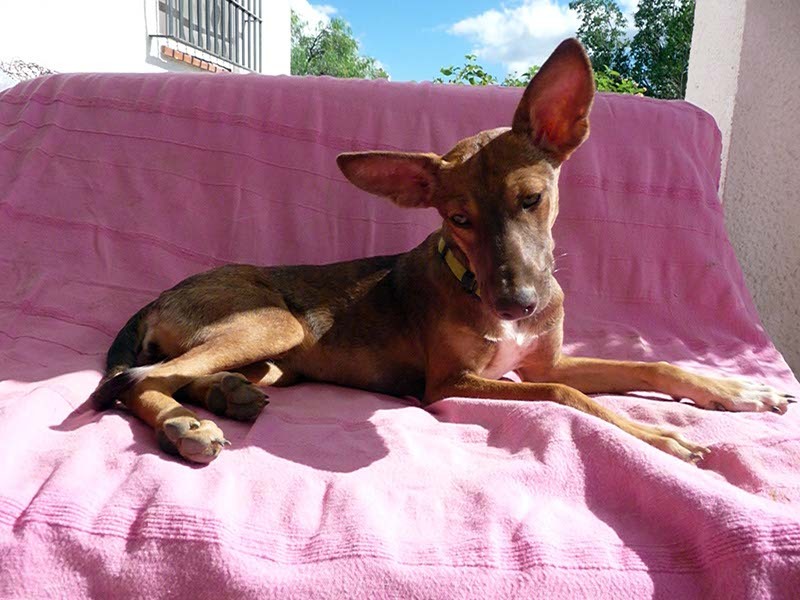 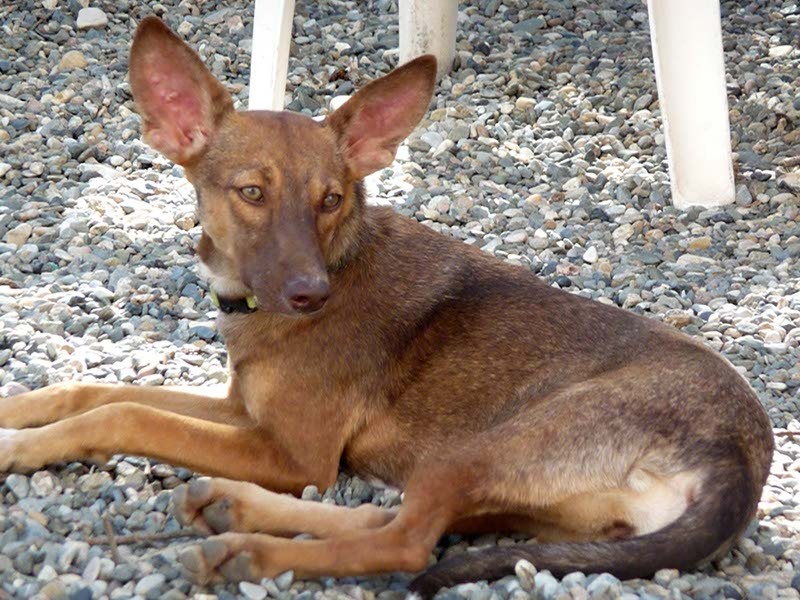 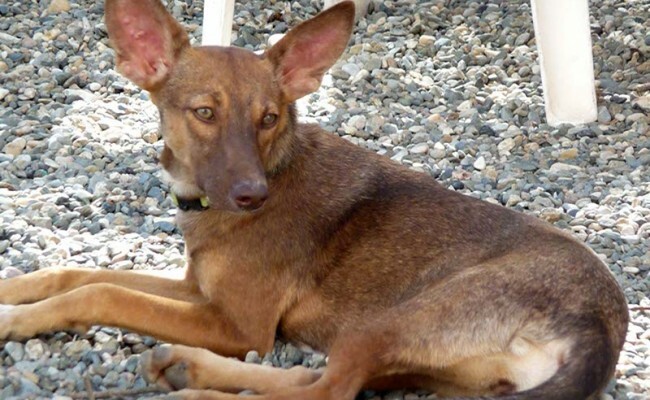 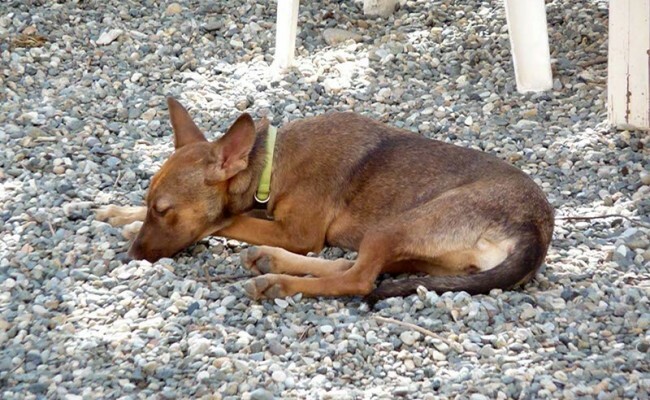 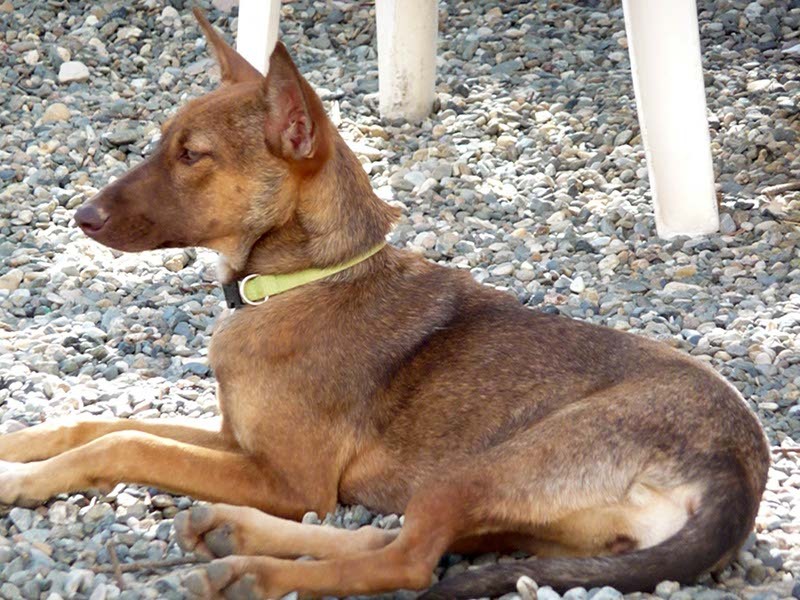 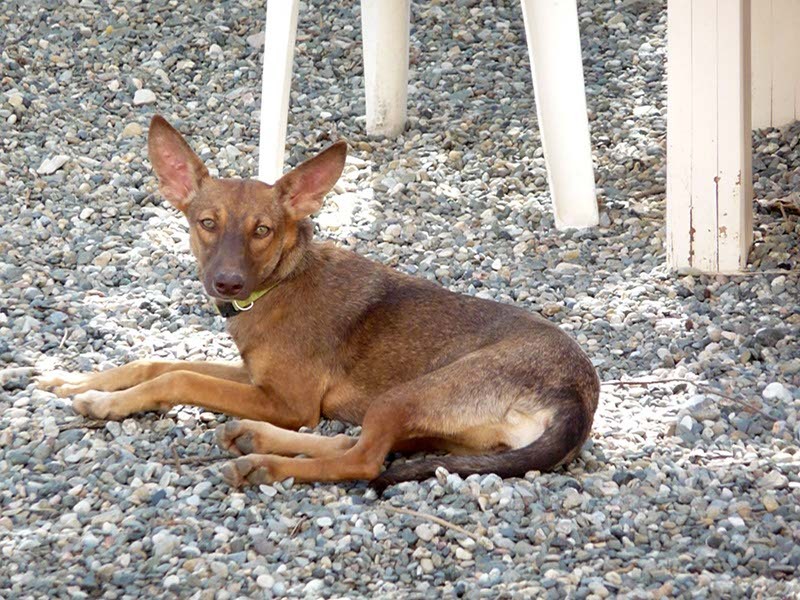 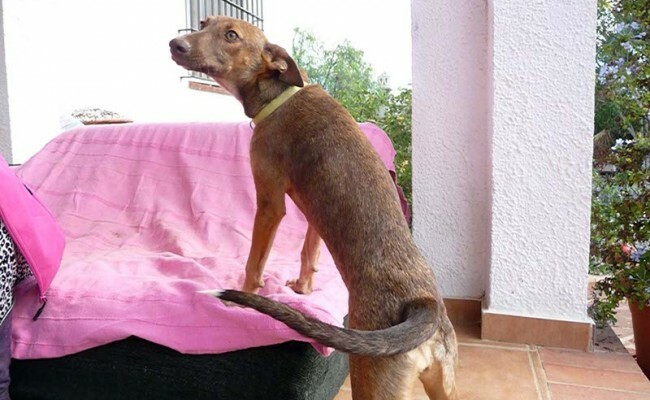 Bambi is very playful with a lovely nature and is good with all the other dogs. 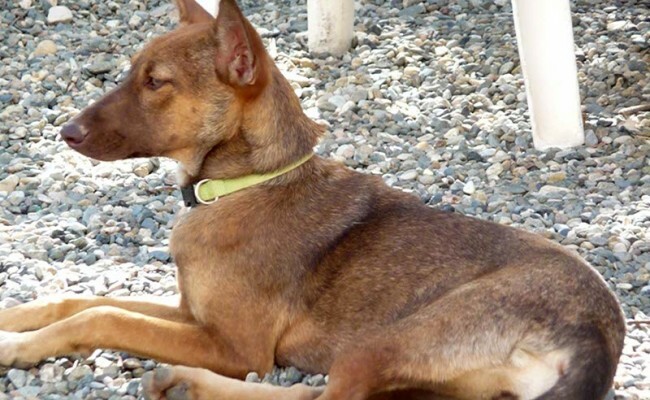 The older dogs don’t stand for any nonsense and tell her off, but the younger ones like to have a rough & tumble, and she will keep going as long as they are willing. 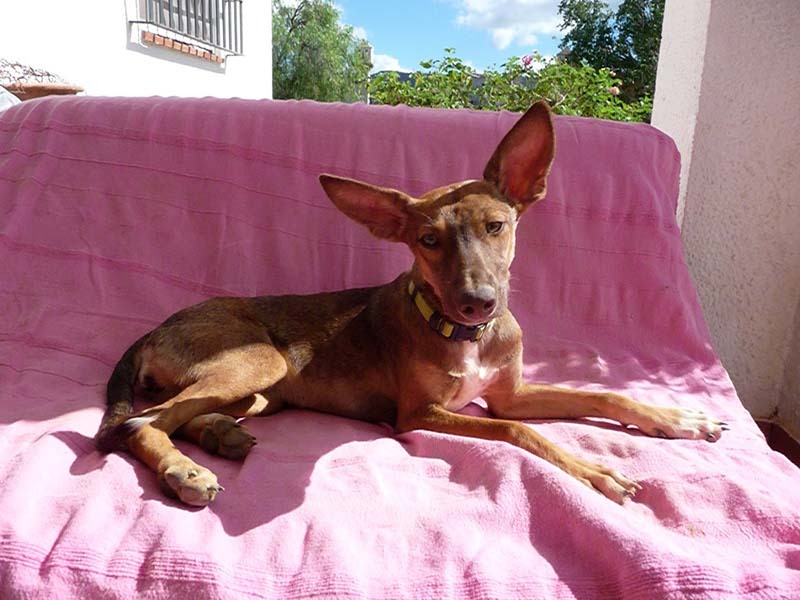 She is sociable and loves people, although at first can be a little apprehensive of strangers. 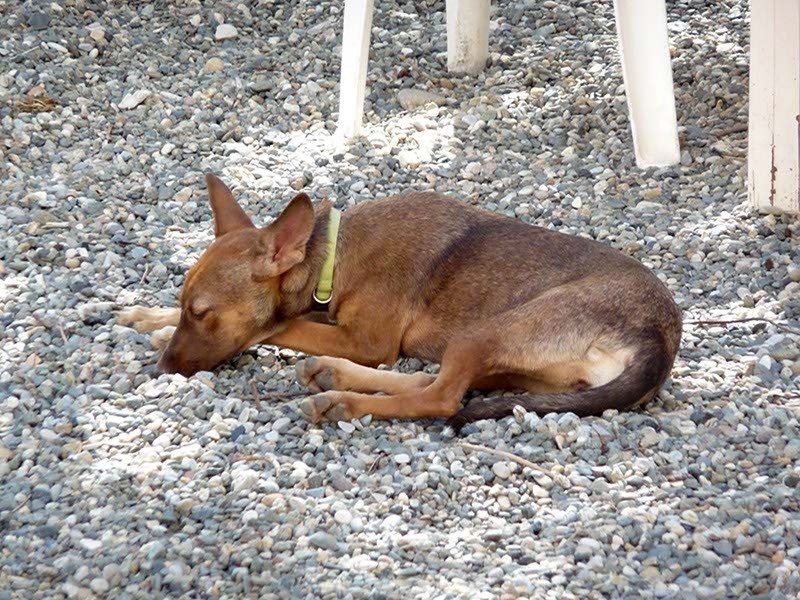 She is good in the house and sleeps with all the other dogs, and also loves to sleep on the couch. 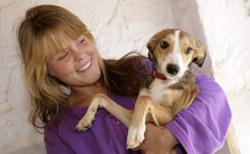 She is also housetrained, car trained, and lead trained. 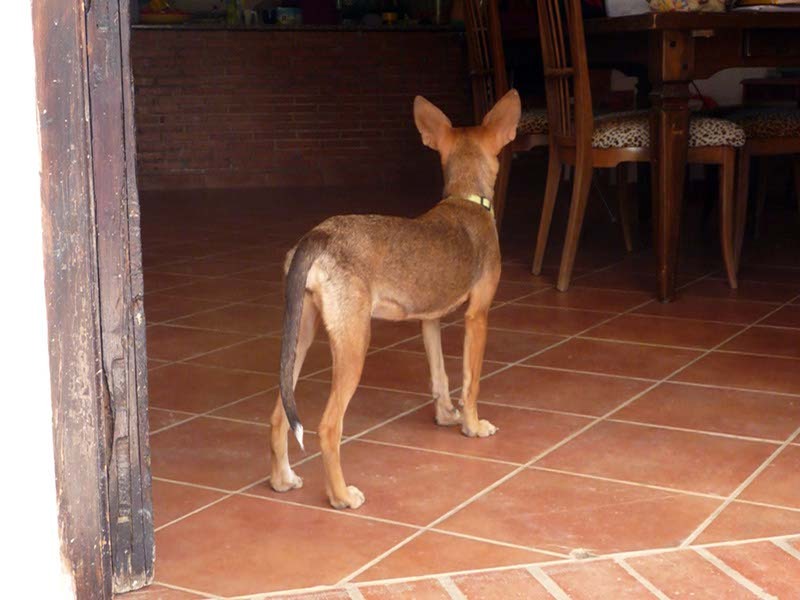 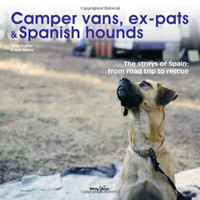 She had a bad experience at the vets, and now it has made her a little nervous about getting into the car, but with enough journeys to nice places she will soon forget. 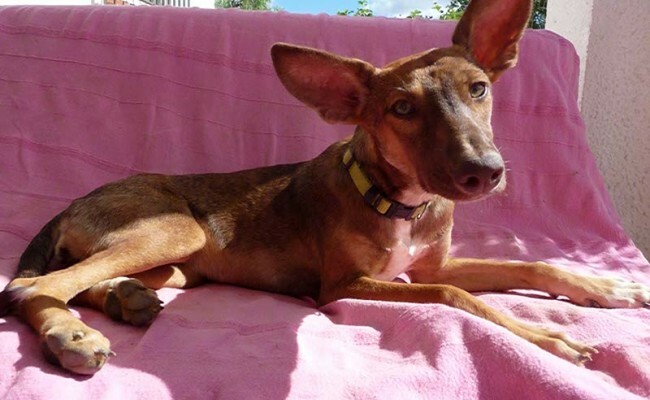 We think she would be ok to eventually go off lead because the gates at her foster home are often left open and she never attempt to run away or escape. 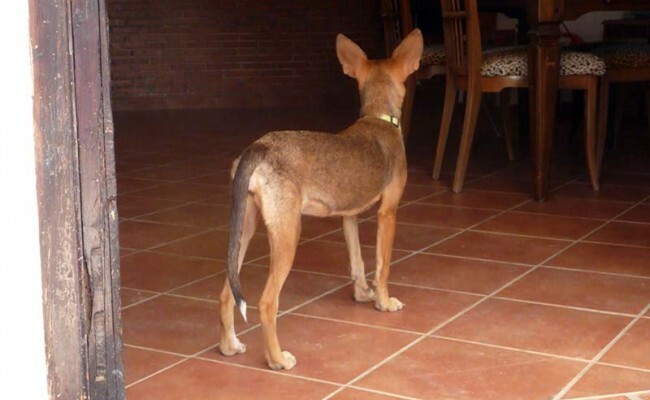 She isn’t a hunter but is curious and interested in everything. 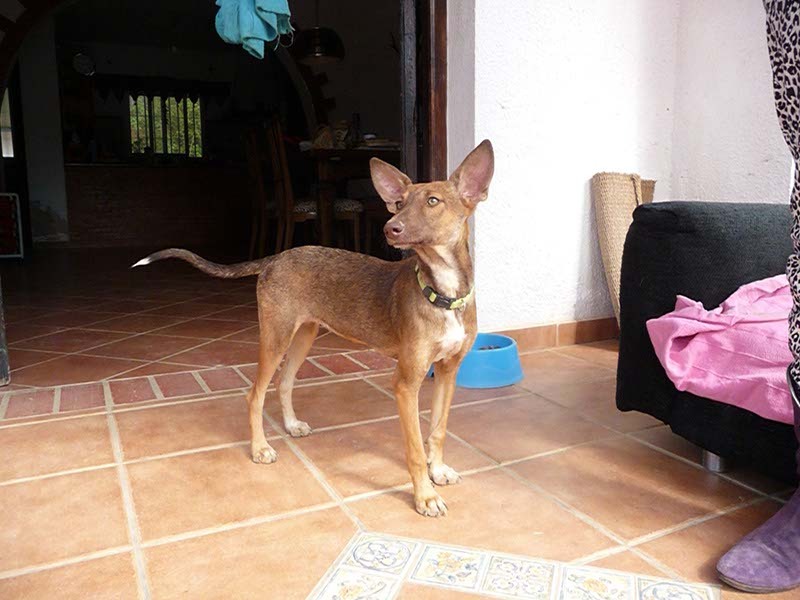 She is a happy lively little girl who would suit a home with other dogs who would be happy to play with her, and she would be fine with older respectful children.